GENEVA—Swiss police raided a mosque in a northern city on Wednesday, detaining eight people including an Ethiopian imam who allegedly called for the killing of Muslims who refused to participate in prayers, the state prosecutor’s office said. 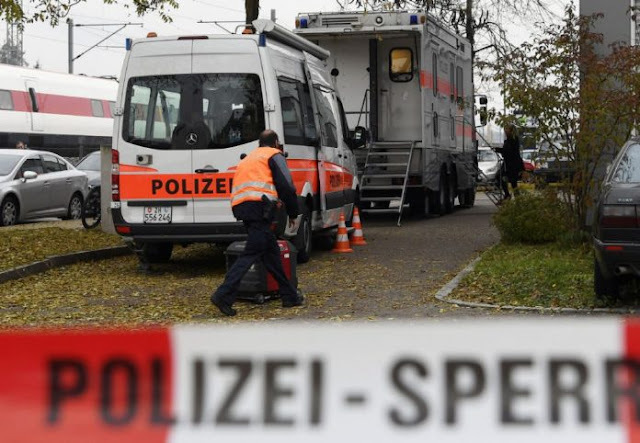 Police searched the An Nur mosque in Winterthur and the apartments of three people as part of the morning operation, according to a statement from the regional prosecutor’s office in nearby Zurich. In a public sermon on Oct. 21, the Ethiopian imam allegedly called for the killing and denunciation of Muslims who refuse to participate in common prayers at the mosque, the statement said. Prosecutors have opened a criminal investigation centring on the imam and three others. In a separate statement, Zurich police said another four men aged 23 to 35 from countries including Algeria and Tunisia were also detained. They were inside the mosque at the time of the raid, and were believed to be illegally in Switzerland, said Corinne Bouvard, a spokeswoman for the prosecutor’s office. They weren’t believed to be connected to the imam and three others, whose nationalities weren’t identified, she said. Bouvard also said prosecutors so far have turned up “no connection” to any possible international extremist groups. Earlier Wednesday, Swiss daily Tages Anzeiger reported that investigators were focusing on the mosque’s new preacher, who it said was from Somalia — not Ethiopia. The report also said some young men who were once regulars at the mosque had later left to join the Daesh group, also known as ISIS or ISIL. In the wake of extremist attacks in Europe in recent years, Swiss authorities have been stepping up controls and surveillance of suspected militants who could cause violence. The Swiss intelligence service estimates that 77 people “motivated by jihad” have left Switzerland to travel to conflict zones since 2001, more than four in five of them to Iraq and Syria. The service says 21 of them are believed to be dead, while others are still active in the conflict regions or have returned to Switzerland.